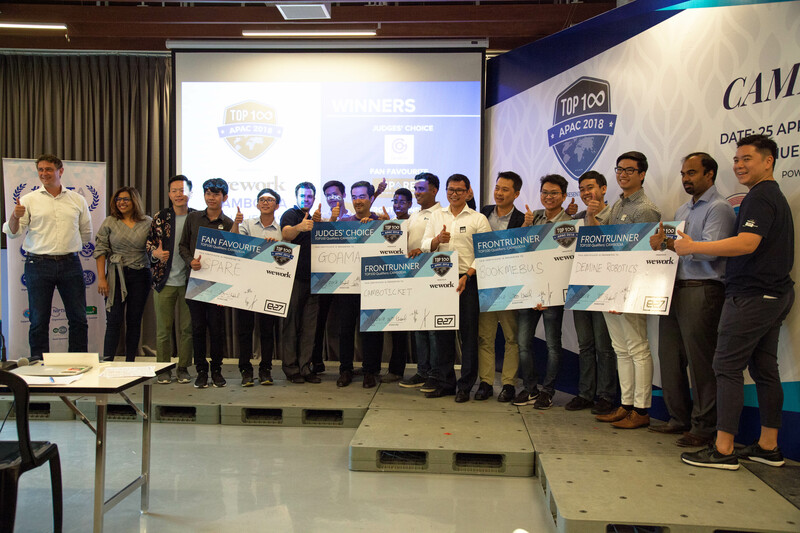 Twenty-one startups battled it out at Raintree Cambodia on April 25, vying for the top five positions at the inaugural TOP100 Cambodia Qualifiers 2018. Goama heralds their business plan as being the NETFLIX of games in developing countries. The application houses over 400 games, offers digital payments and games from some of the world’s top game developers. Spare is a service that rents both indoor and outdoor real estate and working spaces for short-term usage. With an estimated 4 to 6 million landmines in Cambodia, Demine Robotics is a startup that has created a battery-powered robot to remove landmines with just the use of a remote control. BookMeBus is a startup bus ticket buying system in Cambodia. With bus being the main aid of transport across provinces, BookMeBus is an online ticketing portal that provides information on bus companies’ departure schedules and other information. Customers can use e-tickets and m-tickets alongside a variety of payment options, including Pi Pay. CamboTicket aims to make booking of transportation tickets in the Mekong region easier and more accessible. The online ticketing startup gives customers real-time updates on bus seat availability, and strives to make booking simple and efficient. The event at Raintree Cambodia was the first time that TOP100 APAC programme had taken place in the Kingdom, and the TOP100 Cambodia Qualifiers left a lasting impression on many investors and audience members. Powered by e27 and presented by WeWork, the largest global network of workspaces, the TOP100 is an annual program that provides funding opportunities and networking connections for early-stage tech startups in Asia. Here in Cambodia, the program was sponsored by Smart Axiata, the Ministry of Posts and Telecommunications (MPTC) and the National Institute of Posts, Telecoms & ICT (NIPTICT), and was felt by all involved to be the first of many steps to opening the door to opportunities for startups in Cambodia. The five winners will now go forward to the Echelon Asia Summit 2018 in Singapore on June 28 and 29, where they will receive exclusive access to workshops and networking events happening across Asia Pacific (APAC), a travel stipend to attend the TOP100 tour and get a booth at the Echelon Asia Summit 2018. Different from other qualifiers happening in 23 other APAC countries, in the morning the Cambodian event offered attendees valuable insights from prominent figures from venture capital, corporates, government and public policy backgrounds. MustAir manufactures and distributes pollution masks with filtration technology. In collaboration with Peace Bridges Organization, a Cambodian based NGO, a tree is planted in the Prey Lang forest for each mask sold. DNAK AI Hotel allows guest to stay with their AI butler in a hotel located in Phnom Penh. Guests can look forward to VR games, films and other content created by Cambodian artists. Co-organised by Geeks in Cambodia, we are very proud of all the startups who joined the sometimes fierce competition and pitching session — well done all! It was very positive to see the range of services and goods on display, and we are confident that the event helped the participating entrepreneurs to gain more brand recognition and triggered fruitful business opportunities in the future. 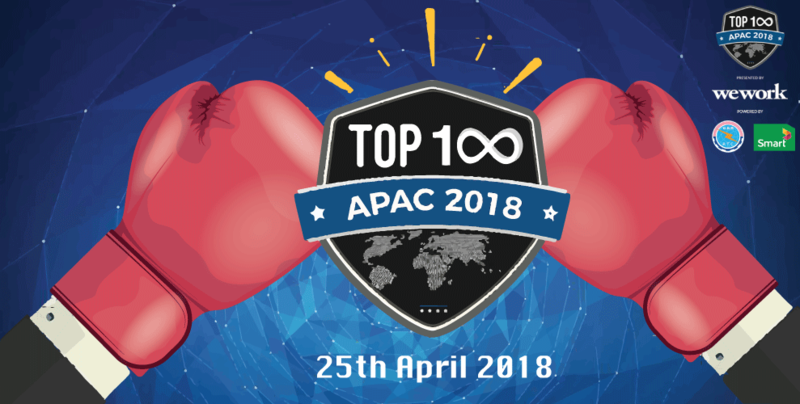 Geeks in Cambodia and Startup Cambodia will join Echelon Asia Summit in Singapore on June 28th-29th to stand behind our startups during the TOP100 Fight Club. Pitching to an audience consisting of investors, corporates, fellow startups, and the wider tech community, Wednesday’s winners stand a chance of winning at this prestigious startup competition. Stay tuned for upcoming exciting information!